Looking for the best product video module on the market? You can now select where to place your video: in gallery, in product description or next to the gallery. Check out our demo! Best module to integrate your videos. 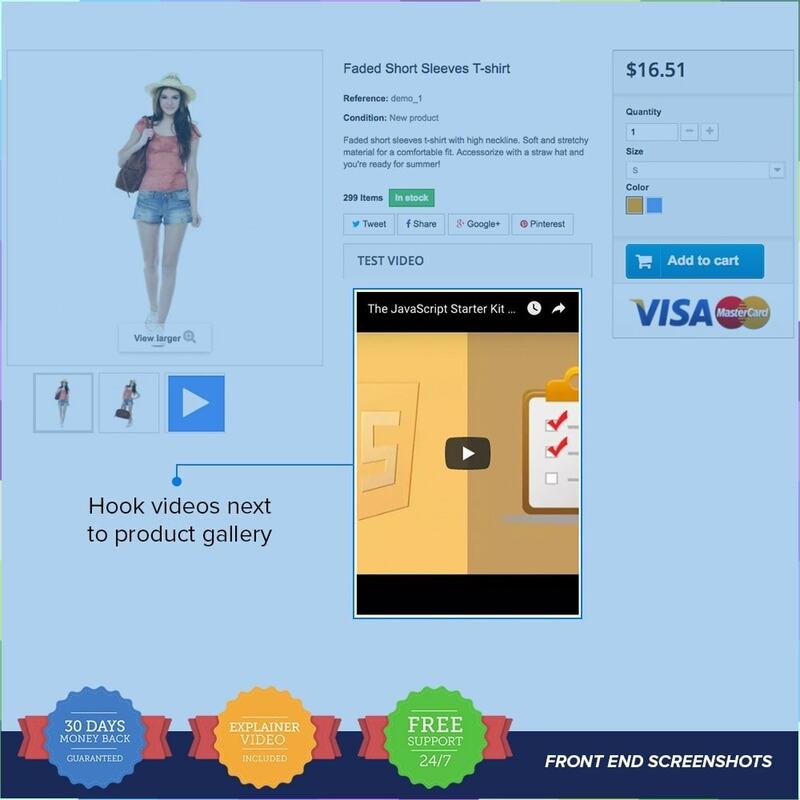 Product Videos PRO - Youtube, Vimeo and Custom Video Module is the most complete and flexible solution to integrate videos with Prestashop product page. With this module you will be able to choose between placements where to display videos from Youtube, Vimeo and many more. What elese Product Videos PRO module offers? - Video Copy: You can copy the videos from any embeded website. Just use copy paste and you integrate your video. Why should I add a video on my product page? The best way to improve your in-site marketing and visitor conversions. Your visitors will have a better overall image over your products, and this will definitely convert your visitors into customers. Keyword answer to Product Videos PRO? CONVERSION RATE! Product Videos PRO will allow you to display videos easily anywhere on your product page. Copy/Paste your video link and you're done. Videos are optimized to keep your loading page speed the same as it was. Our module will not affect your page speed.